When we come to life, our parents are all we have in this world. We turn to them for support, advice, and safety. When we come to life, our parents are all we have in this world. We turn to them for support, advice, and safety. They tell us how life works. It's true and understandable that all human beings make mistakes. Nevertheless, a kid cannot realize that their parents are just humans. They're much more than that. Parents are our guardians. They know everything and are afraid of nothing. At least that's what we thought when we were young. Mum and dad are a goddess and god respectively. They are the only ones we are close to in a big, strange world. That's why our parents' behavior and personality affect our emotions and our way of thinking and behaving in the future. Our parents are the best example for us. They are our ideal self, our icons. The reason for this is the fact that our brain has many more neural connections when we are very young. As we grow older, our brain holds on just to the most used neural connections, and it lets go of everything that we don't usually use. Our mother's and father's voice is crucial for our psyche; it is our inner voice. The way they talk to us is the way our inner voice talks to us, the way we talk to ourselves. If they are usually mad when they speak to us, if they are distant, if they scream whenever we make a mistake, that's how we'll deal with ourselves in the future, every time we do something wrong. But as mentioned above, we are all humans, we make mistakes, and that's totally fine. The thing is how we approach our mistakes and how we improve ourselves. A warm inner voice can be our biggest support, advice, and motivator in life. 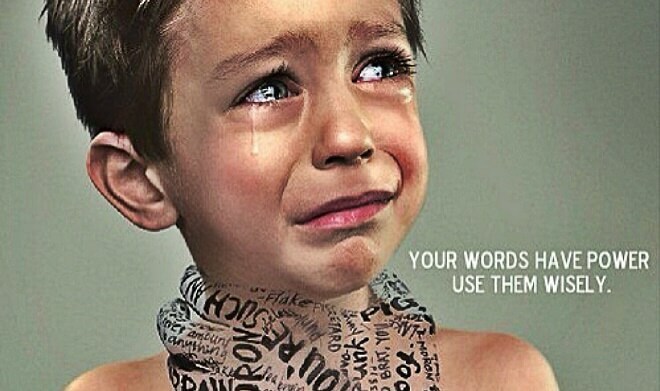 That's why it is vital to speak to your kid with sweetness, love, and truthfulness even if they did something wrong. You will, then, develop a voice inside their head that will support them in life whenever they need help, even when you are absent. 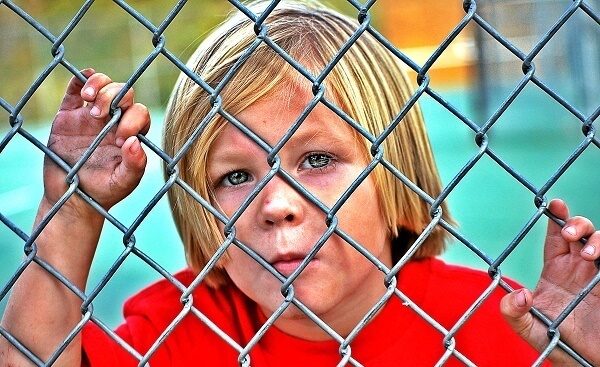 Often, when a child knows it will be punished, it starts crying. Kids cry very easily because they're still innocent and don't know any important reason to be sad about. Additionally, they haven't learned how to hold their feelings, and that's logical. It's perfectly ok for kids to cry and express their emotions. You should never prevent your child from doing that. You can tell them, instead, that you understand how they feel and that it's ok for them to express it. You can later explain to them why what they did was wrong. Seriously, I cannot imagine anything worst, for a parent, to say to their child. If you ever say that to your kids, you should know that they will always be in a search for approval and respect. You will make them feel insecure, helpless and, of course, worthless. So, please, don't ever do it to your son or daughter. I know that sometimes it's hard for you to keep control, but your kid means more than that. Having a kid means that you know how to keep your temper and that you care about their happiness. 3) You are the best/the smartest/the prettiest etc. That's the opposite situation. You try your best to boost your child's confidence, and you end up lying to them. Why? How could that possibly help them in their adult life? Remember that you should be honest with your kids. Of course, you should be honest in a sweet and kind way, because the truth hurts - especially those who are still young and innocent. But there's no need to lie. Your kid can't be the best. They have flaws like all human beings. And they need to learn it from you. It will help them become mature more easily, accept failure and chase success where and when they can. 4) It's silly to be scared! No, it's not silly to be scared. Especially when you're five years old. What is certainly silly is not expressing and facing your fears, so that you can eventually get over them. Allow your child to declare how they feel, even if their fear doesn't make sense to you. Remember that fear is not necessarily bad since it sometimes reminds us how to be careful and avoid dangerous situations. The best thing to say to a child in fear is that you understand them and that you believe in them. They'll eventually find a way to deal with it. 5) I am disappointed in you! Parents often say this to their kids when they already feel guilty. It's wrong to make your kids responsible for your personal disappointment. First of all, remember that your child isn't there to make you happy and accomplish your individual dreams and goals. Of course, you are their biggest role model, and you should try to help them become better in every aspect of their lives. But not by making them feel remorse about themselves. What you should do is guide your kid when they do something wrong. Teach them what's the right thing to do. Speak to them, be honest and kind.